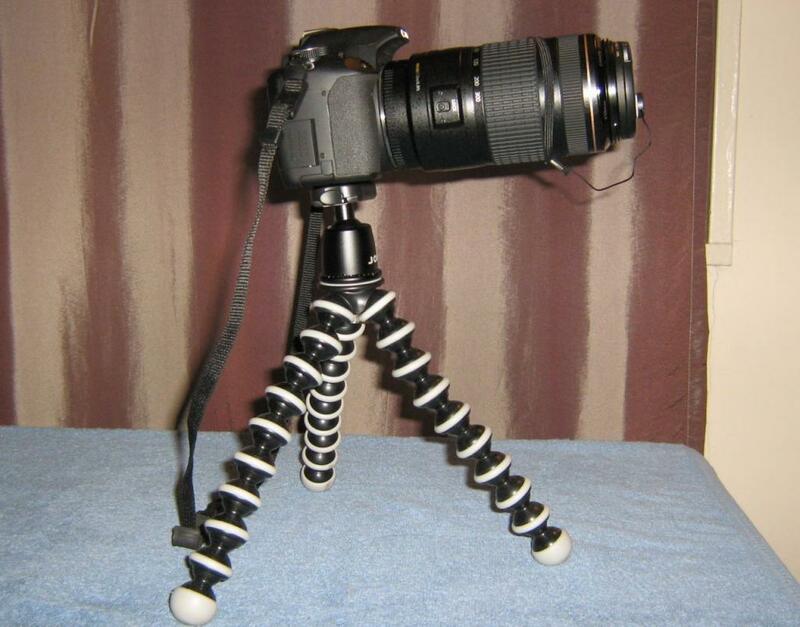 Actually I have the gorillapod slr zoom and it actually is very sturdy. It will support my t1i with an ef 70-300mm zoom without a problem. Just make sure you have one leg under the zoom, if you uses it as a table tripod. Bit is will wrap around a pole, and support my camera with out issue. I looked at the force, it was design for full frame cameras in mind. It is very sturdy, the sections are AL not plastic. But it was more then what I need. Just get a good ball head and you will be set with the force. It does not come with a ball head. The joby head is pretty good for the price. if i get one im thinking of using my manfrotto monopod head, because its very light. Here is my T1i with the ef 70-300 on the gorillapod slr zoom. I got one for Christmas it is very sturdy and also very compact as well. I wanted a tripod for images that I wanted to be in and my brother got this for me and I love it. Not a full height tripod but very easy to carry around. Does it do it's job without ballhead?